Thanksgiving is just around the corner which is the perfect excuse for me to share this creamy garlic mashed potatoes recipe. okay maybe not the whole pot, but it sure is tempting! The secret ingredient is chicken broth! Are you a little confused and slightly doubting my cooking choices now? 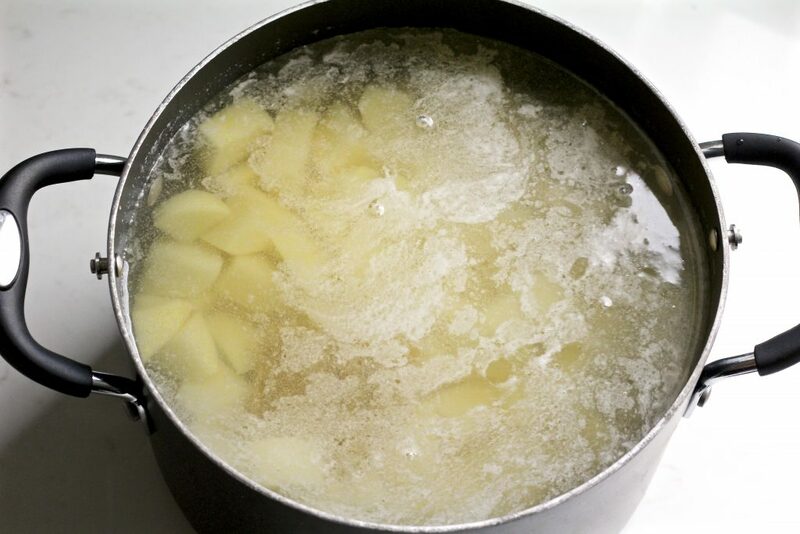 Don’t worry, you don’t mix it in after cooking them but add a dollop of Better Than Bullion chicken stock to the water as you cook the potatoes. It adds an extra layer of flavor and deliciousness. 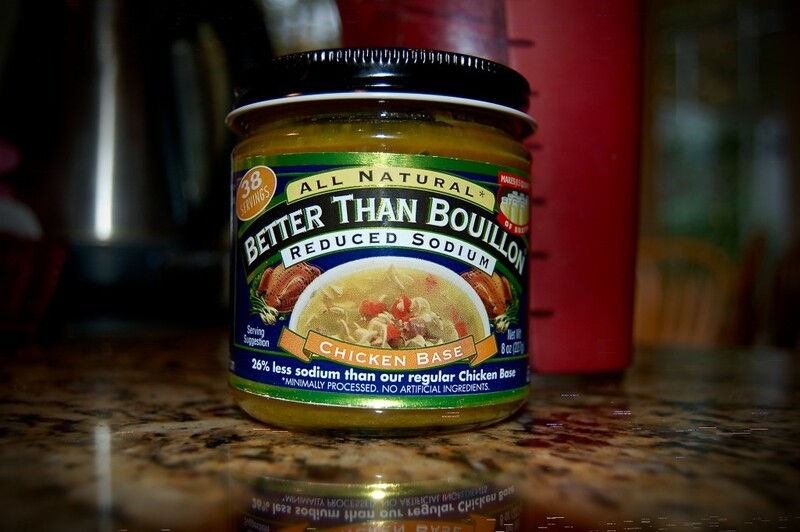 You cook rice in chicken broth, so why not potatoes? 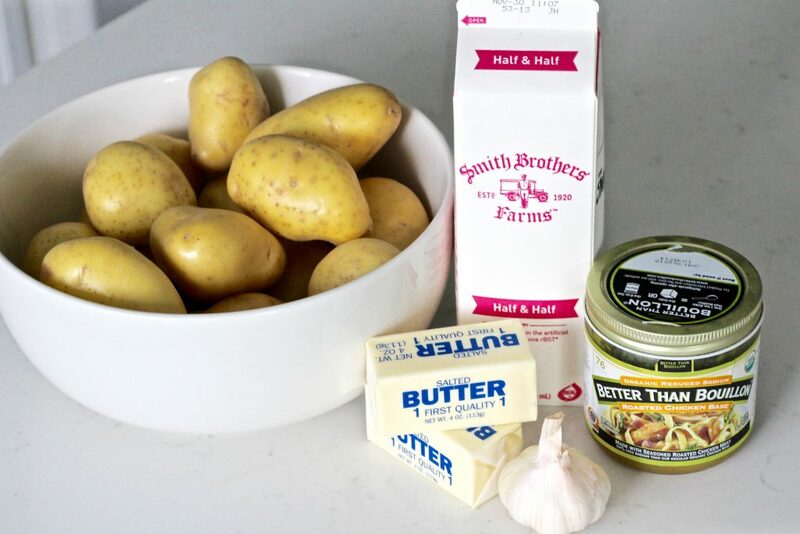 It’s just what you need to make these potatoes extra good (oh and the stick and a half of butter doesn’t hurt either). 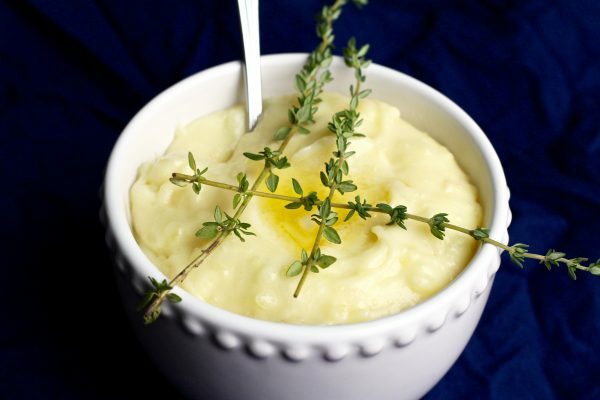 Make these creamy garlic mashed potatoes for your thanksgiving dinner or next special occasion and see for yourself what makes them stand out! Bring 4 quarts of water to boil then add chicken stock and salt. Peel and dice the potatoes and add to boiling water. 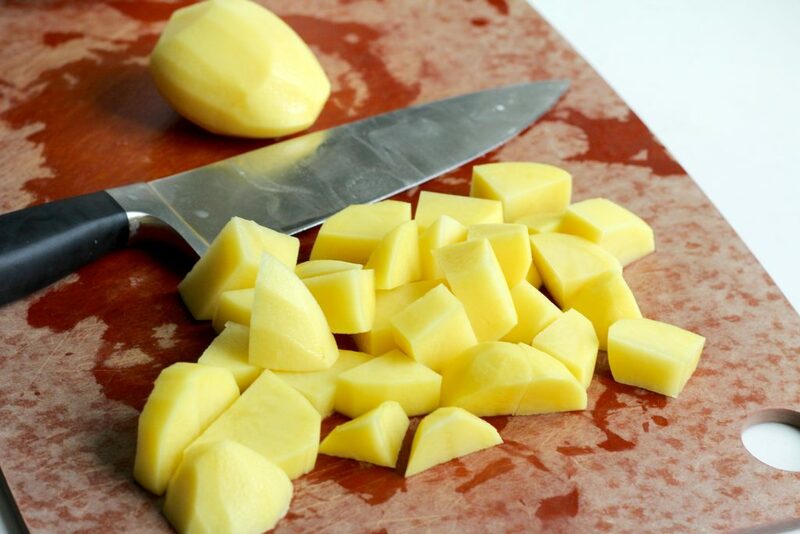 You can cut potatoes into large or small pieces, just as long as they are all equal in size. Keep in mind that the larger the pieces are, the longer it will take for them to cook through. Cook for about 35-40 minutes or until potatoes are fork tender. While potatoes are cooking, peel and mince/press the garlic cloves. Strain out the water and set aside. In a small sauce pan, melt 1 stick of butter over medium heat then add pressed garlic cloves. 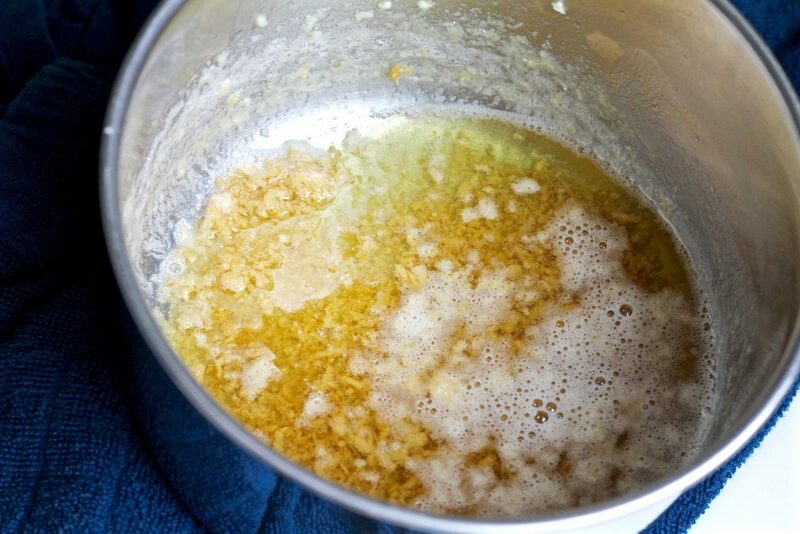 Allow the butter to simmer until garlic turns golden brown. 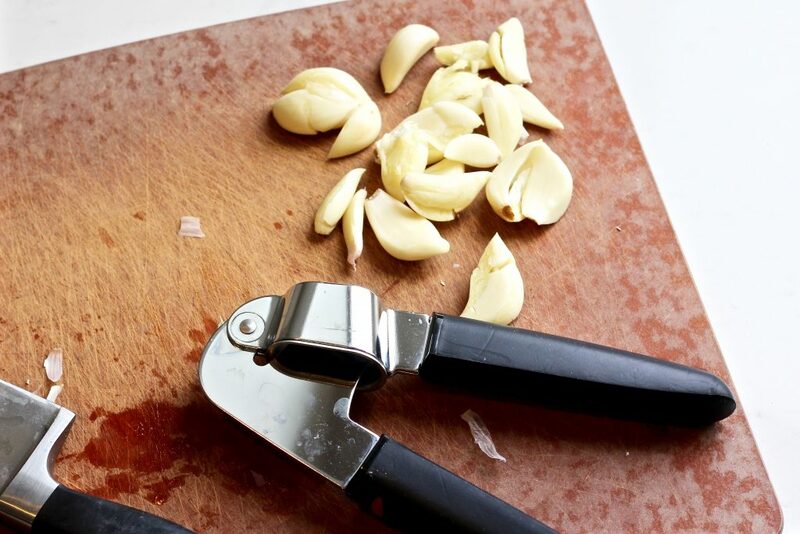 Watch closely once the garlic starts to brown because it can burn very quickly! When garlic is browned, add cup of half and half. 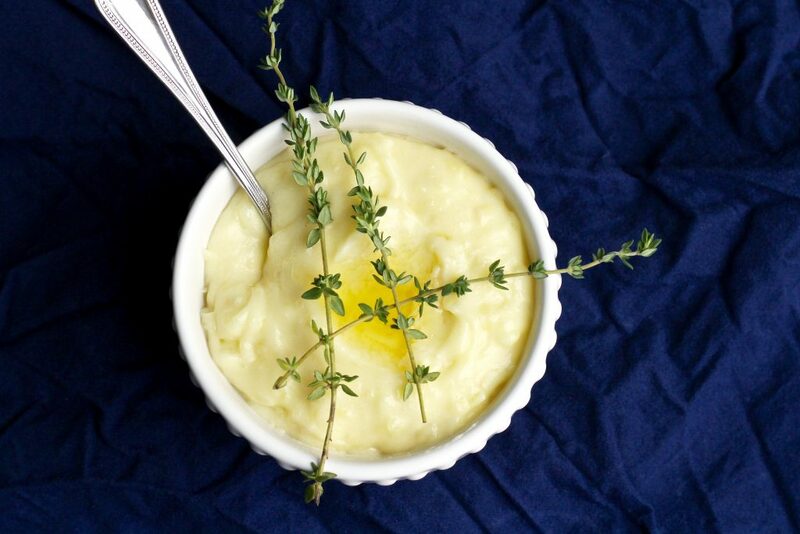 To make the best mashed potatoes, you want to have all the add-in ingredients nice and warm. Using a manual masher, hand mixer, or kitchen aid, mash the potatoes while gradually adding the butter/half and half mixture. 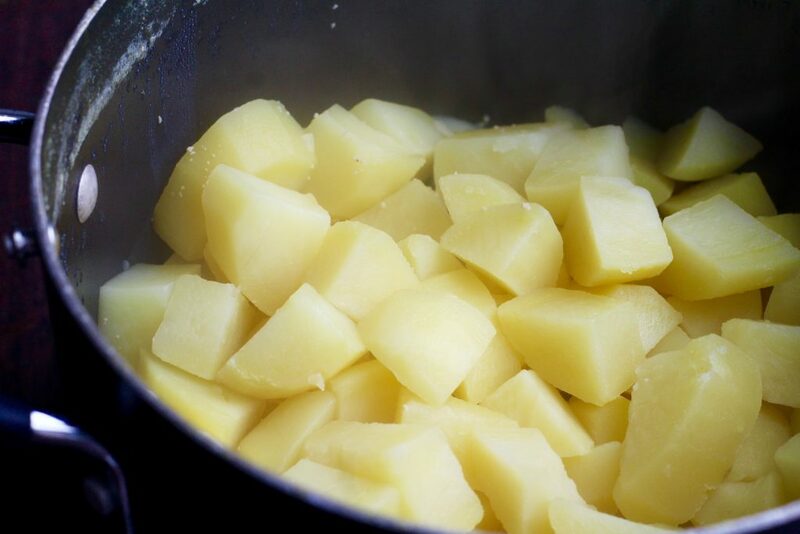 If you are using a mixer of some kind, be very careful not to overwork the potatoes because they will get a gluey consistency. The safest bet is to mash them manually! 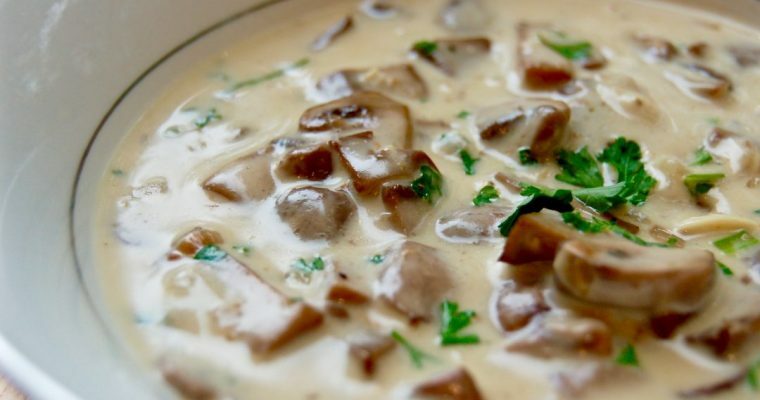 Top with additional butter or fresh herbs if desired and serve. These creamy garlic mashed potatoes are the perfect side to serve with your Thanksgiving turkey or roasted duck! Peel and dice the potatoes and add to boiling water. 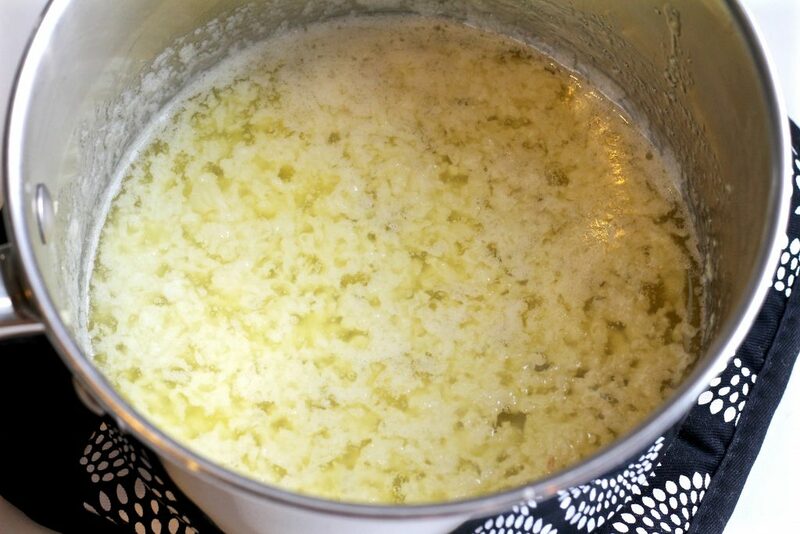 Allow the butter to simmer until garlic turns golden brown. When garlic is browned, add cup of half and half. Using a manual masher, hand mixer, or kitchen aid, mash the potatoes while gradually adding the butter/half and half mixture. In this one, do you really cook the potatoes 35-40 minutes? I have always cooked potatoes 15-20 minutes. 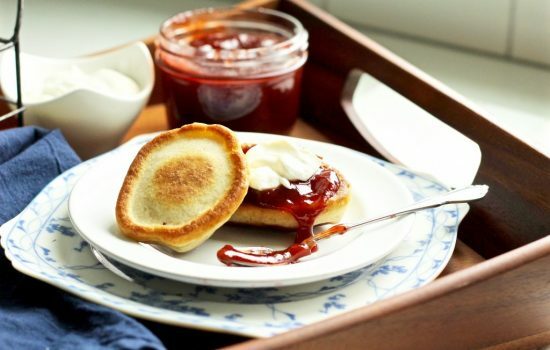 After that I find they start falling apart and getting too soft. 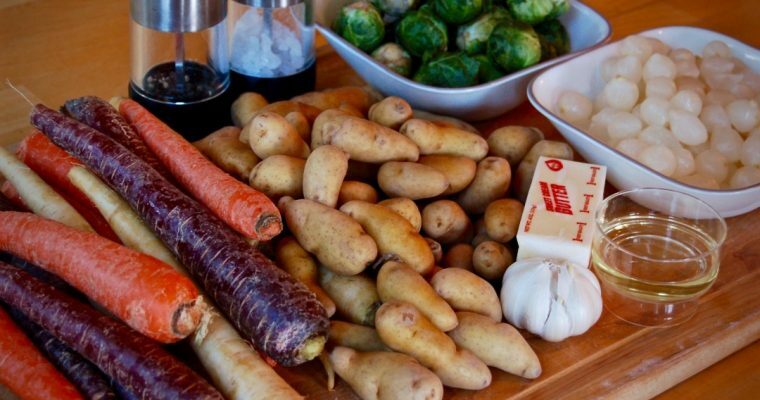 It depends on the size you cut your potatoes up in as well as the type of potato you use (I find that the Yukon gold holds together a lot more than a russet). But yes, I did cook mine for 35 minutes, It’s how I’ve always made them! It’s not a bad thing to have them falling apart since you’re mashing them, I find I get a fluffier potato and smoother texture if they are cooked this way. By the way, I have tried my mashed potato with chicken broth. Oh that mashed potato was sooo delicious.